GPs, including a number of general practitioners who voted 'Yes' in the recent referendum on the Eighth Amendment, have signed the petition which proposes a number of motions for an EGM and reflect concern over the introduction of a GP-led abortion service. The first motion states that routine general practice is not the appropriate setting in which to deliver an abortion service - that external clinical settings would be more appropriate. The second motion calls for an opt-in system; whereby GPs who wish to deliver abortion services receive adequate training, are sustained in their competence and can be subject to audit in keeping with international standards of governance. The third motion calls on the ICGP to support the right of all doctors to freedom of conscience within the professional contest, with regards to abortion including no obligation to refer patients for terminations. The petition also calls on the ICGP to unequivocally state that those doctors who chose not to "opt in" will not be prevented from providing any other services to women or suffer any disadvantage of their career as trainers or practitioners. The last motion suggests that any 24-hour helpline should provide access to non-directive counselling rather than sign-posting to providers. 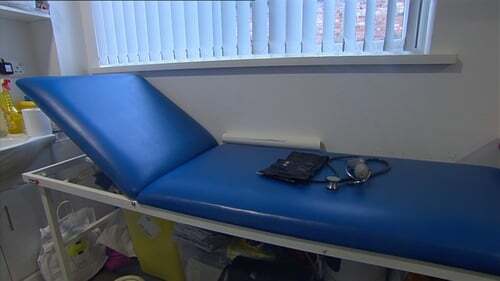 In a statement, a number of GPs who are representing the group say the Government never took the time to consult with GPs when they voiced "genuine concerns" about "proper freedom of conscience protection". They say that the signatures highlights the "serous failings" on the part of the ICGP board to properly represent its members. It calls for unity amongst GPs to find a workable solution to the change in legislation - one that promotes inclusivity and unification rather than unease and division. The group has called on the ICGP board to seek the views of its membership without delay. The ICGP rules require that a minimum of 10% of members of good standing must sign the requisition of an EGM. The board of the ICGP met this evening to discuss its response to the request for an EGM on the termination of pregnancy services. It said it would issue a statement on its position on Friday.